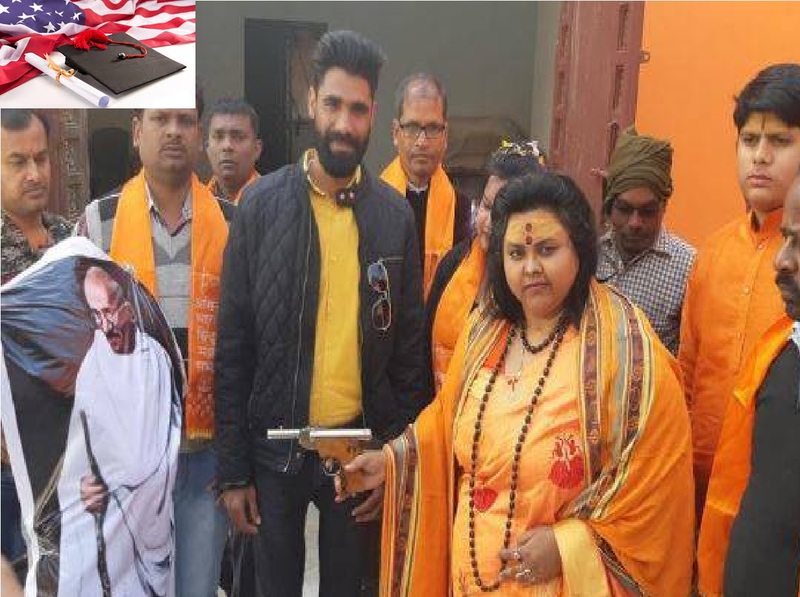 A right-wing Indian woman who shot an effigy of independence hero Mahatma Gandhi with an air pistol to mark his assassination some seven decades ago has been arrested, police said Wednesday. Gandhi was assassinated on January 30, 1948 by Nathuram Godse, a Hindu fanatic angered by what he saw as Gandhi’s pandering to Muslims and by the partition of India after independence. Some present chanted Godse’s name and people took turns firing at the effigy, which had a balloon inside that burst with red liquid resembling blood. It was then set on fire. The event took place in the northern state of Uttar Pradesh and was organised by right-wing group Hindu Mahasabha, the same organisation to which Gandhi’s killer was linked. Pandey — a senior figure in the group and a former lecturer — was arrested on Tuesday on charges of stoking violence and rioting, a local police officer told AFP.